Let’s take a look at Hebrews chapter 5 to learn more about the characteristics of a Carnal Christian. In verse 11, the writer says that the believers had become dull of hearing. When we have sin in our lives and are in a carnal or fleshly state rather than walking in the Spirit, we have a difficult time hearing the voice of God. If we wish to have our prayers answered and have listening ears, we must prevent sin from creeping into our lives. Many Christians have never truly walked in the Spirit so they are content to walk in the flesh because it is all they know. Let me recommend going through this sin list Sin List from A-Z so you can get rid of this ear deafening sin. Once you confess your sin, or agree with God that you have sinned, He will remove the sin from your life. Remember that Christ defeated the power of sin in your life, when you became a Christian. You do not have to live a carnal, fleshly life if you don’t want to. In verse twelve, the author says that these believers should be teachers by now. Like so many people in our churches today, these believers were content in their childlike state. Many people go to church, sit in the pew, open their mouths and say, “Feed me!” Little or no effort is made to study the Word of God on their own, but they would rather be spoon fed. If you do not study the Bible on your own, you will never move past the carnal stage of Christianity. In verse fourteen, we learn that solid food is for the mature in Christ. These mature believers have practice and trained their senses to discern good and evil. A believer must choose to become a mature Christian. In Hebrews 6:1, the Carnal Christians are encouraged to press on to maturity. We see again that this is a choice. In 1st Peter, the Carnal Christian is commanded to put aside his/her sins of malice, deceit, hypocrisy, envy and slander. This person has sin in his/her life, but as we learned during our study of 1st John, The Christianity Test, a Christian cannot live in sin forever. Sometimes it is difficult to know whether you are a Carnal Christian or a Counterfeit Christian. If you doubt your salvation, then ask the Holy Spirit to reveal your state to you. In verse two of 1st Peter, he tells us to long for the pure milk of the word, so that you may grow from it. In order to walk in the Spirit, you must study the Word of God. We looked at these verses last week, but I want you briefly review them. The believers in Corinth are Carnal Christians just like the believers in Hebrews. Paul tells these Corinthian church that they are not spiritual men, but men of flesh (or carnal). They are infants in Christ who only want milk to drink. They suffer from jealousy and strife. These people are walking in the flesh rather than in the spirit. If only they knew what they were missing out on. Let’s take a look at the fruits of the Spirit, which are characteristics found in someone who chooses to walk in the Spirit. 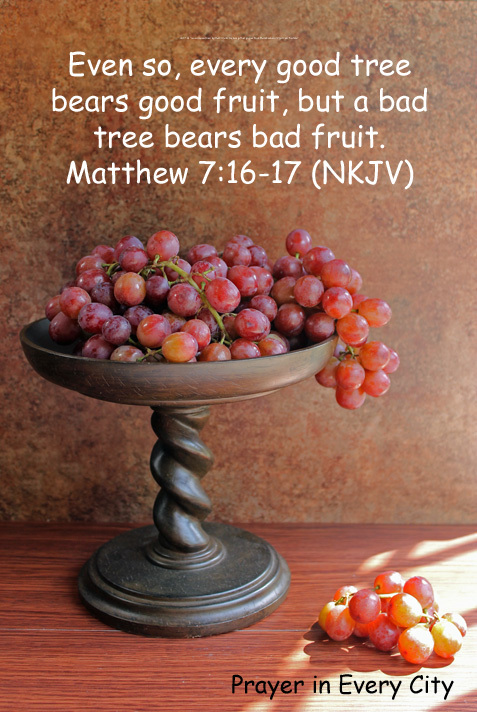 As we learned in my post, 10 Prayers to bear Fruit in My Life, there is only one fruit of the Spirit with nine characteristics. The evidence of walking in the Spirit are these: love, joy, peace, patience, kindness, goodness, faithfulness, gentleness, and self-control. If you don’t have all nine of these, then you are a Carnal Christian. Join me next week for another lesson on the Carnal Christian.